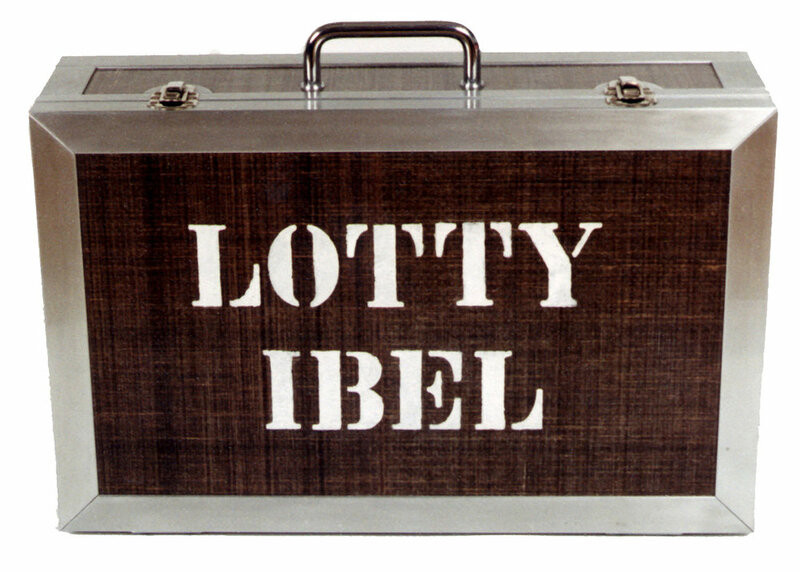 "Lotty Ibel" is literally a drop sculptur. Fill the container with ferric chloride, white lead and water. Then attach it to the parachute. Lotty is ready for use and should be dropped within 30 min. from an airplane or helicopter. On the landing surface the container will release the acid and leave a white area of around 30 square cm. The user/owner is left with an empty case and a blank spot on the map never to be seen. participating artists: Ralf Witthaus/Eva Stüben/Christian 3Roosen/Margit Meister/Uta Below et al.